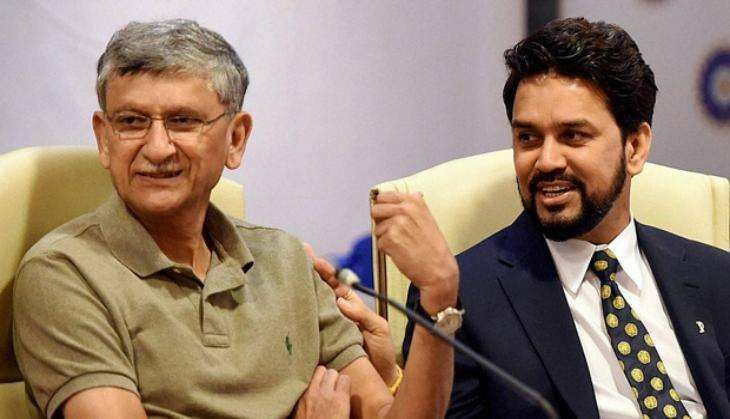 Its funds choked by the Supreme Court, embattled BCCI President Anurag Thakur on 21 October steered clear of commenting on the latest diktat by the apex court, saying he is yet to go through the order. "What impact it will have on cricket, we cannot comment before going through the order. Once we get the copy of judgement we shall respond. There are difficulties which have been placed in front of the Court," Thakur said. The cricket body has been told not to disburse any funds, even for match purposes, to its state units till they resolved to abide by the Justice RM Lodha panel recommendations on reforms. The apex court also directed BCCI president Anurag Thakur and secretary Ajay Shirke to give an undertaking on affidavit, before the Lodha panel and in the apex court by December 3, stating how much time they will need to implement reforms. A bench headed by Chief Justice TS Thakur and comprising Justices DY Chandrachud and L Nageswara Rao asked the Lodha panel to appoint independent auditors to scrutinise all BCCI accounts. "I have full faith in the judiciary. It is the state associations who have to implement the Lodha recommendations, once they get the order, we will have a discussion with them and ask them to implement," Thakur said.